TonLagen Festival is a contemporary avant-garde music festival revolving around new instruments, unusual sounds and surprising soundscapes. 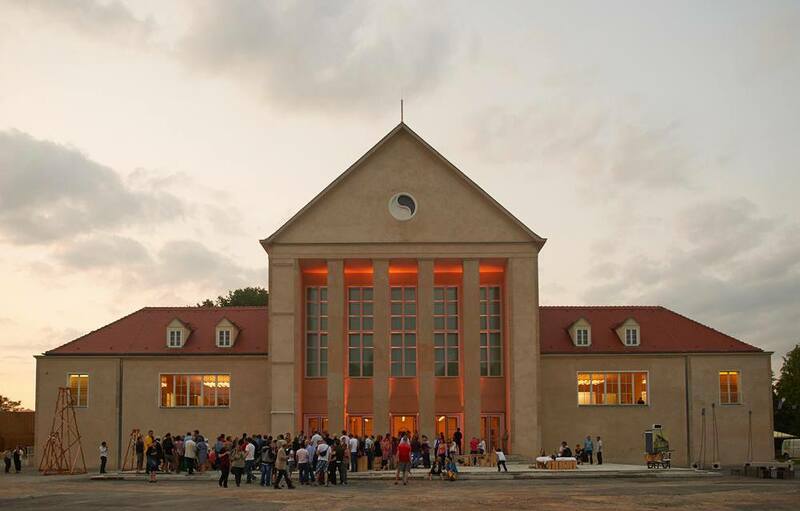 Hellerau–European Center for the Arts is one of the major contemporary art organizations in the world. Since 2004, it has opted for the position of a cross-disciplinary art center. It organizes several activities each year, traversing the fields of dance, theatre, media art, visual art, performance art and music. TonLagen Festival 2014 Dresden was part of its programme in fall 2014. 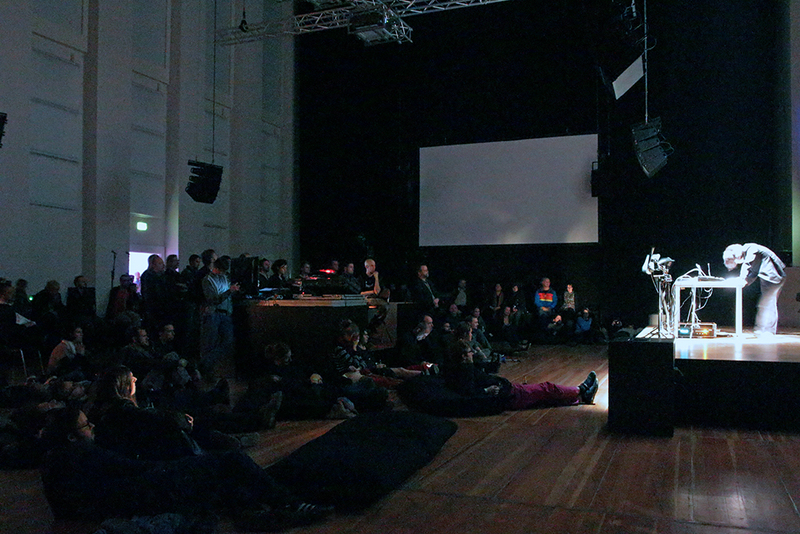 With the hope of making connections and exchanges with Asia and bringing new perspective and resources of Eastern performance art to Germany, the festival invited Taiwanese sound artist Wand Fu-Jui with more than two decades of experience to join the rare grand occasion. He made outstanding performances in the music festival together with artists from other Asian regions like Indonesia, China and Hong Kong. 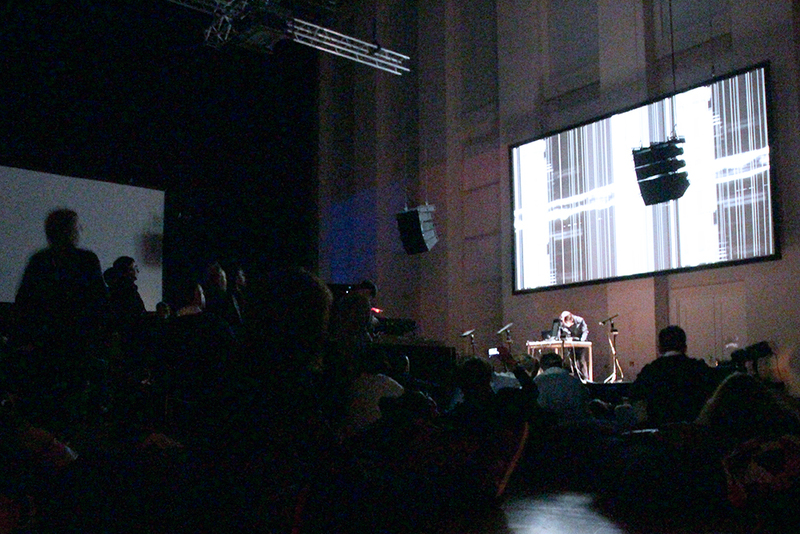 On the stage of TonLagen Festival 2014 Dresden, Wand Fu-Jui used four directional speakers. At the beginning, the prelude contained soundbits like those from the ocean. There was no visual projection at the start of the performance. Rather, the performance unfolded by bringing a slowly deployed unknown beginning to the audience, similar to a suspense film. The sounds shifted among line array speakers above the stage and the four directional speakers in front of the audience. Sounds similar to ocean waves kept on going back and forth and hitting. Thus the audience’s ears consistently switched between the two groups of speakers, creating a feeling of windy sounds with tangent surfaces that keep on moving forward. Meanwhile, the sounds kept on integrating and going apart. 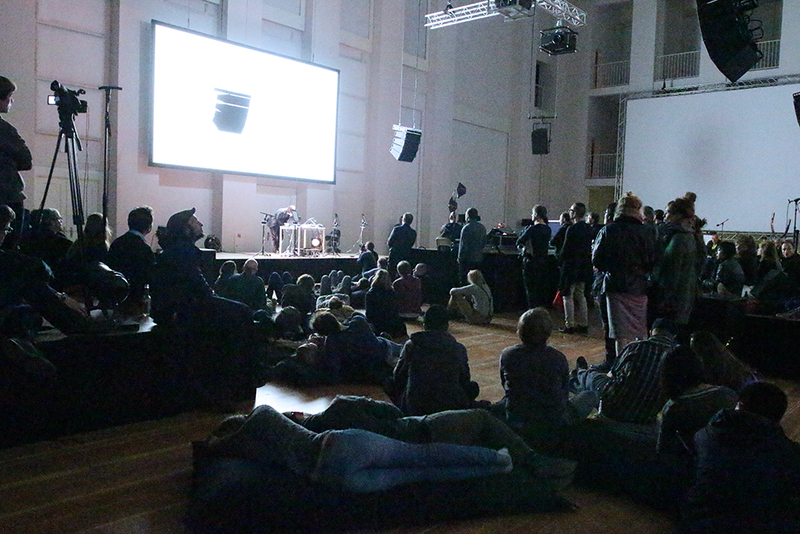 Perhaps because Wang Fu-Jui’s sound performance had a great immersion effect, many audiences simply leaned on the black cushions provided by the organizer and closed their eyes to listen. Then their bodies naturally relaxed into the lying posture. As if corresponding to the sounds of the performance, the audience entered a calm state deep within; their mentality seemed to enter a certain freedom of consciousness pertaining to religion and surpassing the flesh. With the sense of the flesh’s existence gradually being liberated and fading away, the consciousness entered an instinctive state. It’s like we never made any effort to learn how to drink water; it was an instinct with which the body connects with nature. Whereas at the start many audiences stood to listen, they slowly laid and sat down following the tone and rhythm of the performance. 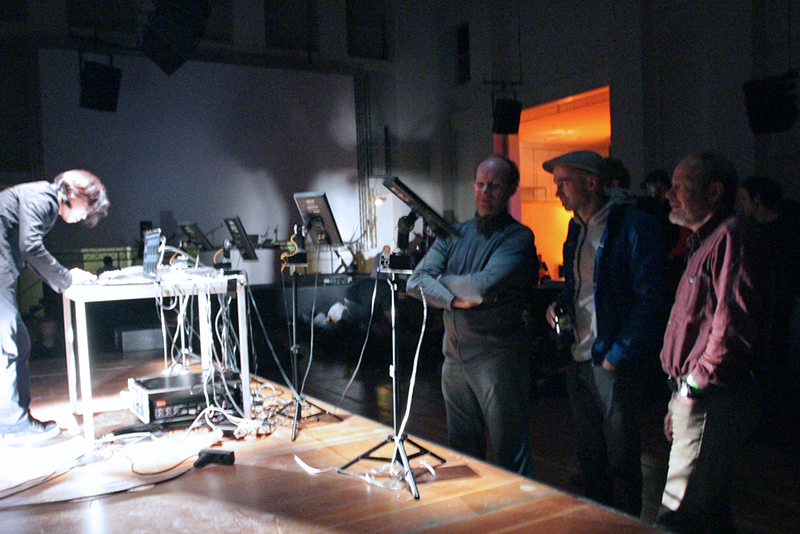 Although Taiwan’s sound art is probably not so well known in the West, after the performance, many people felt interested and approached the artist to ask questions. Some audiences were also interested and felt surprised to see the fact that directional speakers could be applied to performance. Although quite a lot foreign sound artists use directional speakers in their installations, yet applying them to sound performances represents a new way and a new feeling. In general, we’re too used to sounds that simply come from usual speakers. Yet when sound is limited to a single direction, it would bring a different feeling. It’s like we hardly feel the change brought by a beam in a room that is evenly lit, yet we notice the contrast and difference between a beam and the darkness in a space.